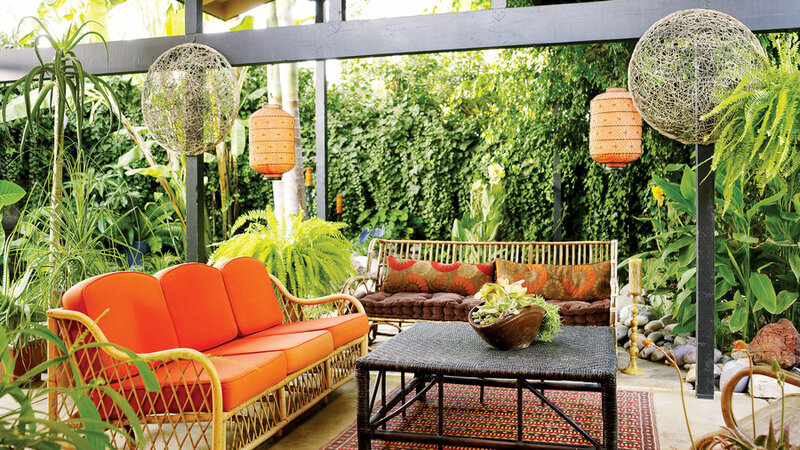 Tip from the designer: Brooke Dietrich, owner of in Costa Mesa, CA looked to bargain sources to outfit her own patio. 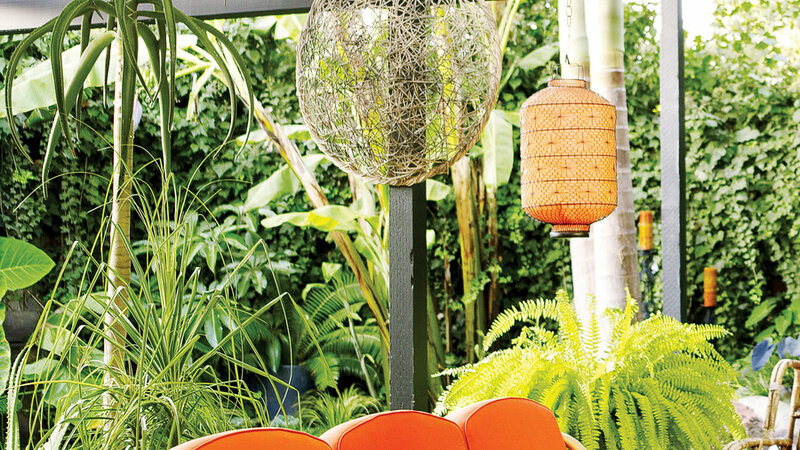 “Ikea and Pier 1 are my kind of stores,” she says. 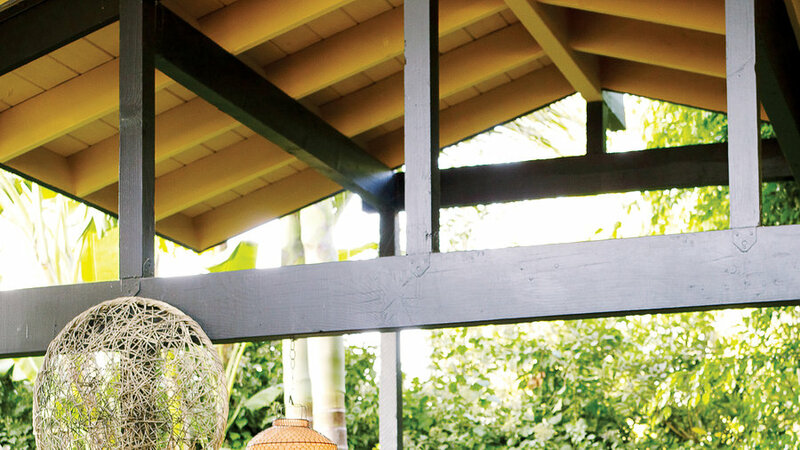 Black pillars and beams and a tan ceiling give the patio’s shade structure (originally green and white) a Balinese motif. Dietrich bought the tree aloe and ponytail palm from a friend who was moving out of state. The Boston fern is from a grocery store, and the cannas are offshoots from another friend’s plants. 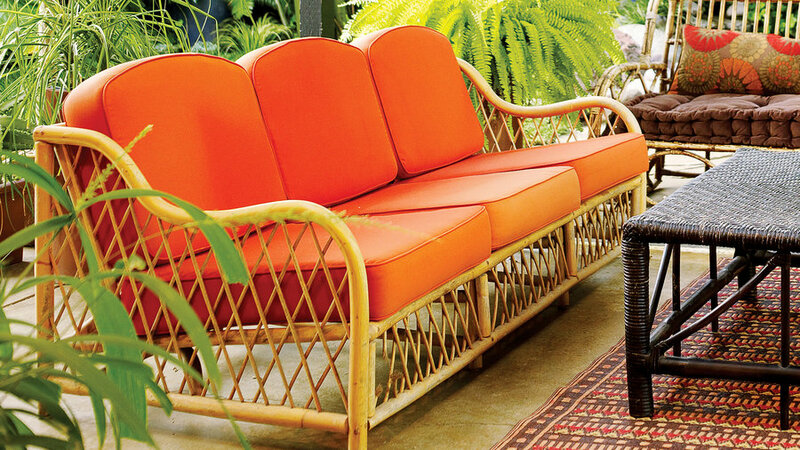 This rattan sofa had been abandoned in an alley; the sofa in the rear was a swap-meet find. 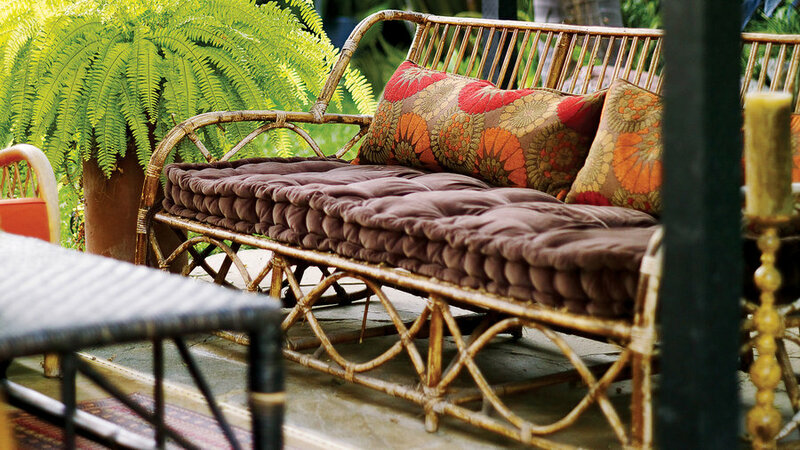 New and re-covered cushions give each a second life. 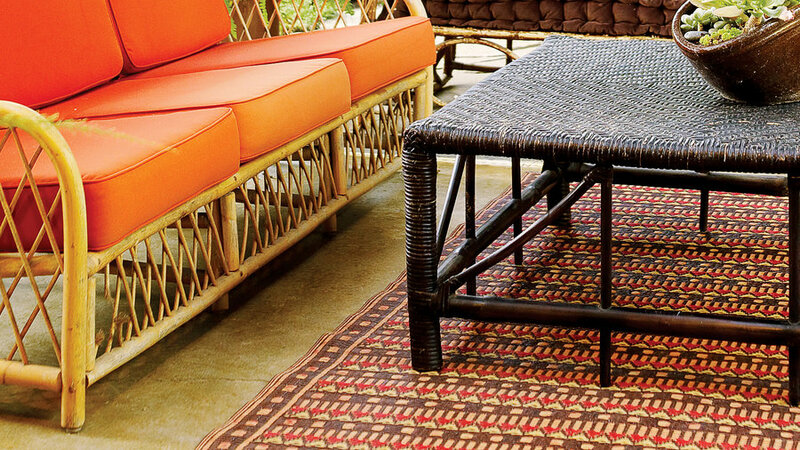 The wicker coffee table was a discounted floor sample. A tawny stain (Mason’s Select Transparent Concrete Stain #50, in Sandstone; for stores) took a half-hour to apply and makes cold gray concrete look as warm as terrazzo. 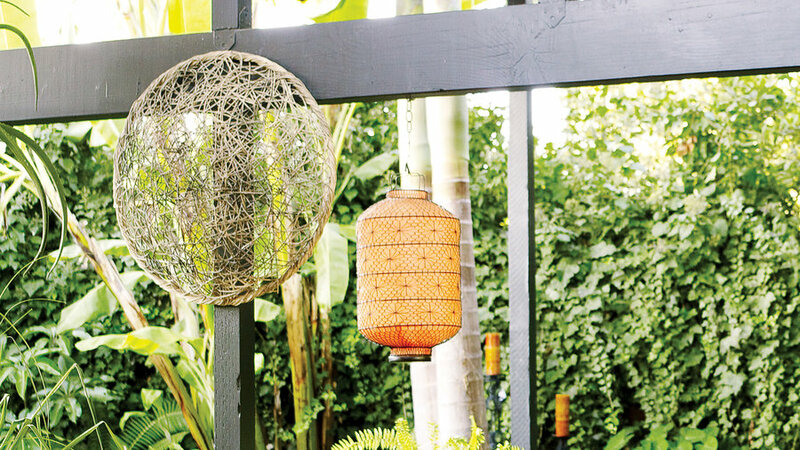 Large loose-weave baskets hang from a beam. 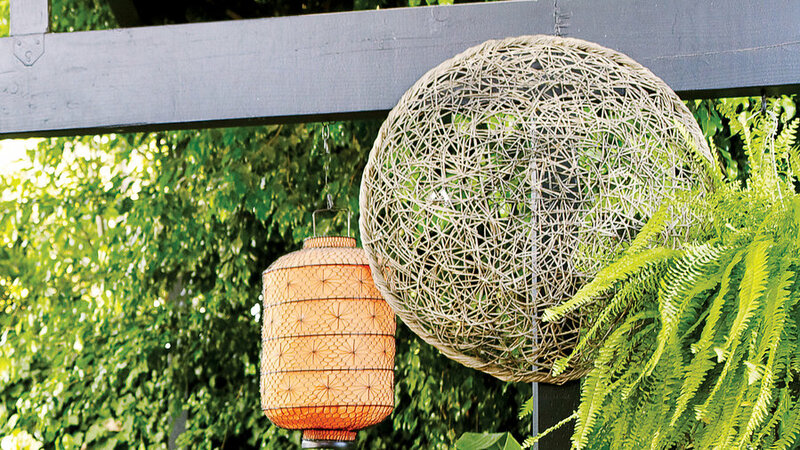 Other touches include a centerpiece of succulents, and a 5- by 8-foot rug woven of recycled plastic.